With Birth Defects Prevention Month in full swing, it’s time to focus on Tip #2 for Preventing Birth Defects: Booking a visit with your health care provider before stopping or starting any medicine. Callers to MotherToBaby often wonder why it’s important to talk with their health care provider before stopping or starting a medication. My most recent caller to MotherToBaby asked this very question. Maria contacted us at MotherToBaby telling us that she and her partner had decided that they would like to start a family. Like many women, Maria was taking medications for a health condition, and she wanted to learn if it would be OK to use them while trying to get pregnant and during pregnancy. She was planning to stop taking them because she was worried that they could be harmful for her baby. She told me that she felt alone as she faced this decision. In fact, Maria is not alone; 70 percent of women need to take prescription medication during pregnancy to treat a wide variety of health conditions, like depression, asthma, diabetes, nausea and vomiting of pregnancy and inflammatory bowel disease. And most women (90 percent) report using over-the-counter medication, vitamins or supplements for overall health or for specific health concerns, such as acne, allergies, colds, constipation, headaches and lice. Why should you talk with your health care provider before starting or stopping taking medication? Some medications or herbal products can make it harder to get pregnant. And some medications can help you get pregnant. In some cases, stopping a medication and having an untreated medical condition may be more of a concern for pregnancy than the medications used to treat it. If a medicine can be harmful during pregnancy, your provider may want to switch you to one that’s safer for your baby. But some medications are necessary, even if they may be risky for your baby. You and your provider can talk about all your treatment options to make the best decision for you and your baby. Some medications can cause you to go through withdrawal (have unpleasant physical and/or mental symptoms) if you stop suddenly (also called “cold turkey”). If you and your provider decide to stop a treatment, you may need to stop taking the medicine slowly over time rather than stopping all at once. Some medications may need to be increased or decreased during pregnancy in order to continue working properly. Some vitamins and supplements may have too much or too little of the nutrients that you need during pregnancy. You may need to adjust the amount you take. Supplements and herbal products are not regulated by the Food and Drug Administration. There are no standards for ingredients and strength, and most have been poorly studied regarding their safety for use in a pregnancy. Now that you know why it’s important to check on the safety of medication before and during pregnancy, what’s next? Whether you are planning a pregnancy or currently pregnant, talk to your health care providers before starting any medication (prescription or over-the-counter), vitamins or herbal products. Don’t stop taking your prescription medication unless your health care provider says that it is OK.
Make appointments with your health care providers to review medications they prescribe and make an appointment with your prenatal provider. If you are planning a pregnancy, talk with your providers before you get pregnant; and talk with them again as soon as you find out that you are pregnant. Tell your provider about any medicine you take, including medications that you only use once in a while, like seasonal allergy medication or rescue inhalers. Tell them about over-the-counter medicines, supplements and herbal products, too. A product may be made from herbs if it has word on the label like indigenous or tribal medicine, traditional Chinese medicine, natural remedies, herbal supplements, nutritional shakes, essential oils and tinctures. Start taking a prenatal vitamin as soon as you stop your birth control. Talk to your provider about which prenatal vitamin to take. How can you get ready to talk to your providers about medication and pregnancy? Prepare and bring with you a list of all the medications and supplements that you take, including the ones you may only take occasionally. Bring all pill bottles/boxes with you to the appointment so your provider can check on the active ingredients. Indication (why you are taking it). Some medications can stay in the body for a long time. If your treatment plan includes stopping a medication before getting pregnant, discuss the timing of when you should stop. There may be alternative treatments that work just as well for you and are better options during pregnancy and breastfeeding. Ask about alternative treatments. Find out if you can try them out before pregnancy to see if they will work for you. Talk about the right prenatal vitamins with the right amount of folic acid for you. Some medications can affect how your body uses folic acid, which is important for pregnancy. Ask your prenatal provider to prescribe you a prenatal vitamin to make the choice easier. 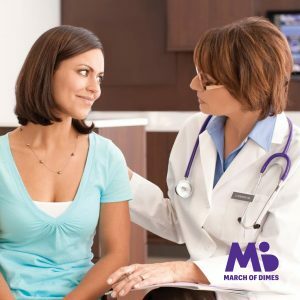 After our call, Maria felt more comfortable in learning about her medications and questions she should have ready to discuss with her providers about the best way to treat her medical condition throughout her pregnancy. Remember, just like Maria, you are not alone. MotherToBaby is here to help you and your providers work together to make informed decisions about your medication options for pregnancy and breastfeeding. 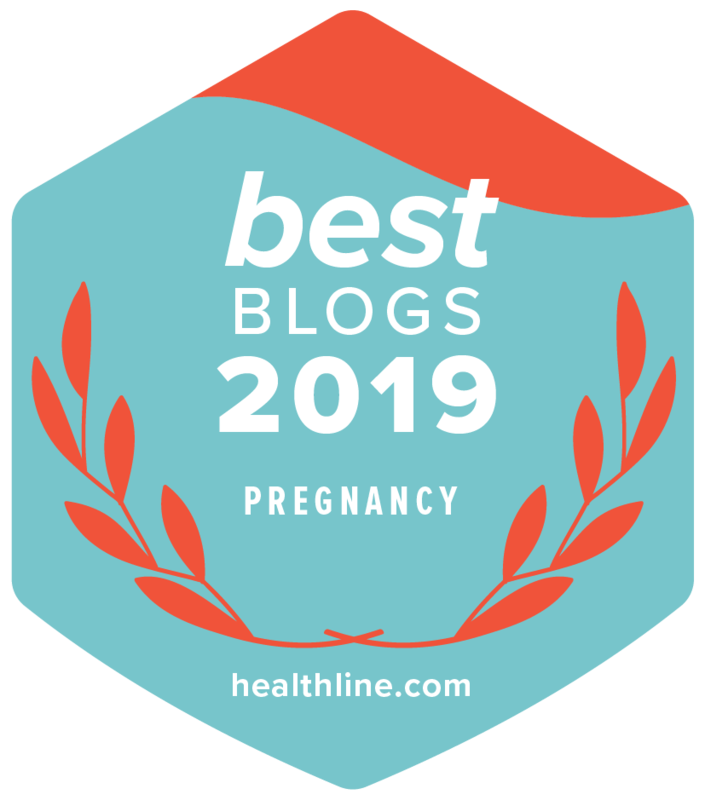 This blog post is the second of a series of guest posts from MotherToBaby during this year’s National Birth Defects Prevention Month activities. This year’s theme is: Best for You, Best for Baby. Ginger Nichols is a licensed certified genetic counselor based in Farmington, Connecticut. She currently works for MotherToBaby CT, which is housed at UCONN Health in the Division of Human Genetics, Department of Genetics and Genome Sciences. She obtained her Bachelor of Science degree in Biology and Sociology from Juniata College and her Master’s Degree in Medical Genetics from the University of Cincinnati. She has a special interest in occupational and environmental exposures.